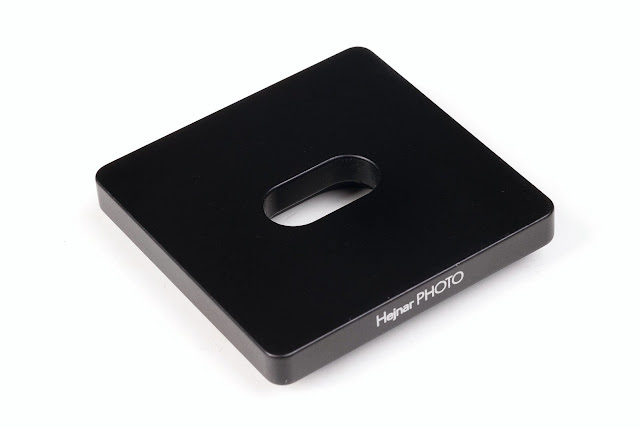 Hejnar Photo has just introduced a new camera plate expanding their coverage to the medium format camera field but not only. It follows a simple design of a quite large square camera plate with a bidirectional Arca style dovetail. What makes it differ though, is its larger 3/8"-16 mounting screw compared to the usual 1/4"-20 size. 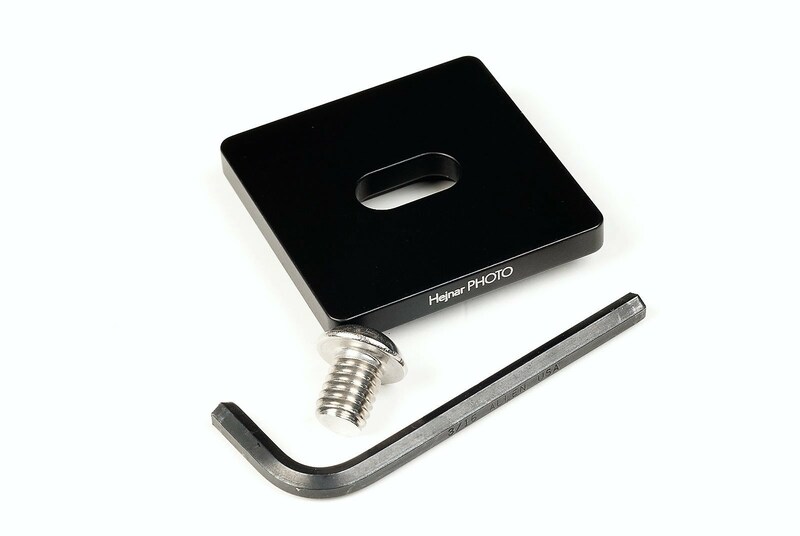 The thick H019 QR Plate is square and completely flat with a captive slot for the larger 3/8"-16 captive screw in the middle. The Arca and RRS compatible dovetail is also square and allows bidirectional mounting of the device attached on top. Hejnar Photo H019 Square Plate underside with bidirectional dovetail. The Hejnar H019 plate comes as usual accompanied by the needed hardware, which in this case is its matching hex-cap, stainless-steel, 3/8"-16 captive screw and the appropriate size Allen hex wrench. 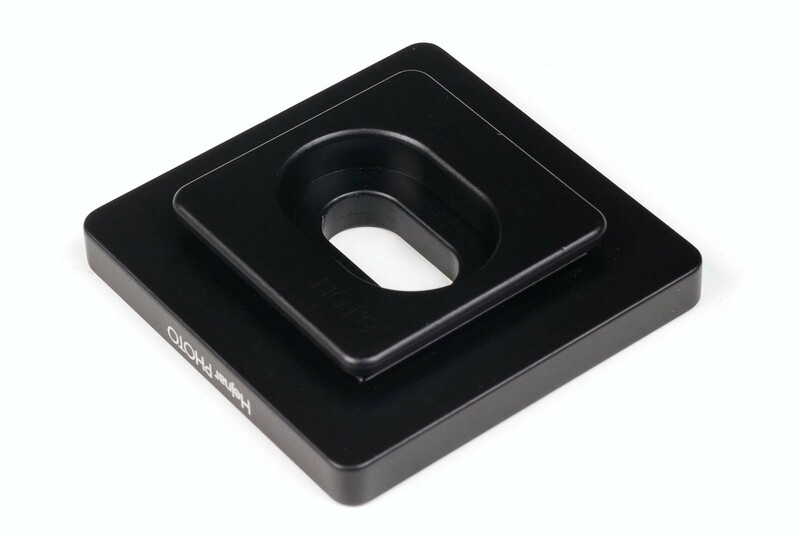 Current price for the D019 QR Plate is US$ 40.00 (+Shipping where applicable) and is available from Hejnar PHOTO online Store. If you are interested in the plate, do check the Recommended Sellers page for a valid Hejnar Photo discount coupon before placing your order in Hejnar online store.